One of the most intuitive dogs around, the Labrador Retriever will always be happy to assist you in your every need. Whether it be spending the afternoon playing fetch in the park; being your best friend; or spending time by your side when the family gathers around the tree. Including your Lab when celebrating the holidays, is what makes Christmas special. 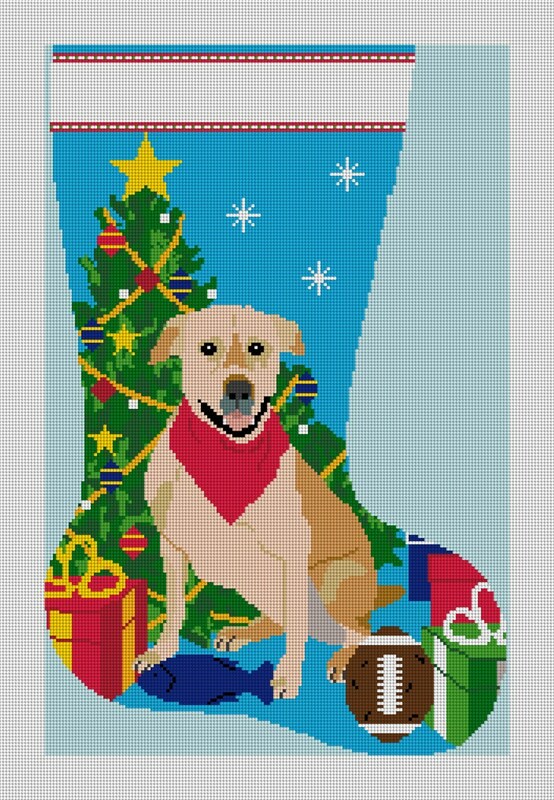 Stitch this needlepoint stocking canvas, (for you or your dog) and create a loving heirloom. We would be happy to change the color of this Lab to match yours.